Selling the family home is an option many parents consider when their youngest child goes off for college or to an out-of-town job. Research shows that young empty nesters are not bound by the habits of past generations. After raising the kids, a fresh start may begin with a new house. Some of these people are motivated to find a place where their children will be eager to visit. Such a place may be on a lake, near a cozy downtown or other setting where the whole family can enjoy being together. Other young empty nesters are seeking a more relaxed lifestyle, downsizing or upgrading to better finishes and floor plans. Also, some will admit, they don’t like looking at the empty bedrooms in their existing home. They want to start new and find the kind of house that works with the life they now have. If leaving the family home seems too drastic of a move, young empty nesters may decide to purchase a vacation home where time together can be scheduled and shared. Looking ahead is a good way to start making such a decision. Will the house suit your new lifestyle? 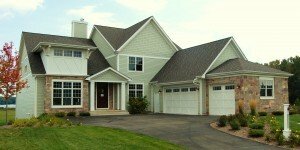 Do you want to use your new house as a base for traveling from or to? Do you want a single-level home that’s energy efficient? Should you be close to work or a commuter line? Will future grandchildren like visiting? Rather than looking at school districts, empty nesters are watching for walking paths, natural settings or waterfront property. Upkeep is an issue, too. Forget the backyard pool. Enjoy a maintenance-free lake. 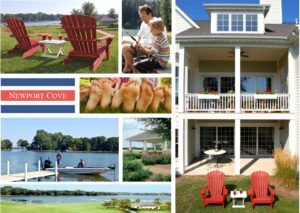 Learning about this young empty nester trend makes us at Newport Cove realize that our houses represent a new beginning for families past, present, and future.